This FDA and Dermatologists approved acne-treatment regimen consists of four unique products which work together to effectively cleanse, remove, treat, and target acne. 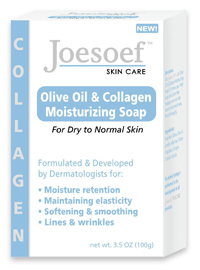 This soap's natural anti-bacterial, antiseptic, and anti-fungal formula removes harmful dirt and oil buildup to give your skin a healthy complexion and prevent future breakouts. Sulfur spot treatment. This formula vanishes as it quickly and effectively kills acne causing bacteria, pimples, whiteheads, blackheads, breakouts and blemishes. Goes on clear. Apply with cotton Q-tip to breakouts. 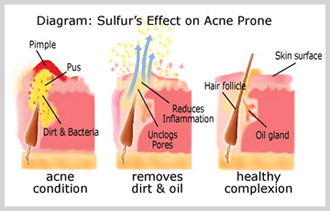 Sulfur works to unclogs pores, kills bacteria, fungus, prevents breakout, clears blemishes, pimples, blackheads, zits and acne. Drying sulfur mask. Apply with Q-Tip. For Acne, clogged pores, blackheads, Rosacea, Zits, Pimples, Acne Vulgaris, Whiteheads, Oily Skin, and blemishes. Penetrates deep into the Pores removes trapped dirt, oil, make up traces. Reduces the redness associated with Acne and Rosacea.